The committee supervising the internal elections of the Wafd Party – Egypt's oldest liberal party – said that last month's vote which saw El-Sayed El-Badawi claim another term as president was invalid, Al-Ahram's daily Arabic newspaper reported. The party-commissioned committee said the number of votes exceeded the number of members present that day by 104. El-Badawi was running against Fouad El-Badrawi, the former secretary general of the party. El-Badrawi told Al-Ahram that the committee's announcement makes the elections "void" and that accordingly the party's general assembly should meet again and open registration for new elections. He said that if El-Badawi doesn't respond to his demands, he will file a formal case within the party. 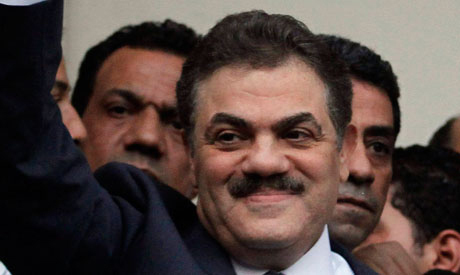 El-Sayed El-Badawi Shehata (known as El-Sayed El-Badawi) is the current head of the Wafd Party, elected to the party's leadership in 2010. He has been on the party's Higher Committee since 1989. The Wafd Party has announced its support for former military chief Abdel-Fattah El-Sisi's campaign for Egypt's presidential elections, slated for 26-27 May.